Russia is a big market in the mining industry of the world. In the past few decades, many of our mobile crushing and screening equipments have been successfully put into production in many cities of Russia. And our machines have got good reputation there . 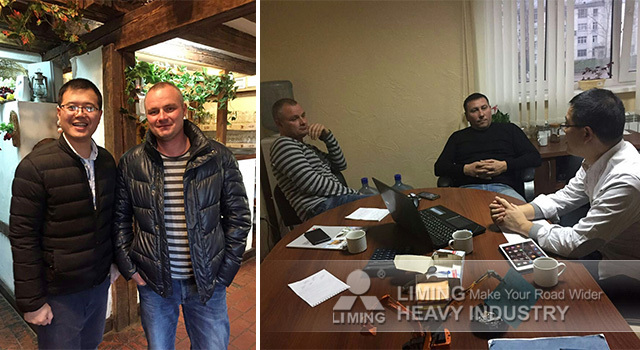 In order to serve our customers better, Liming Heavy Industry will visit our customers for one month from October 21th to November 21th. 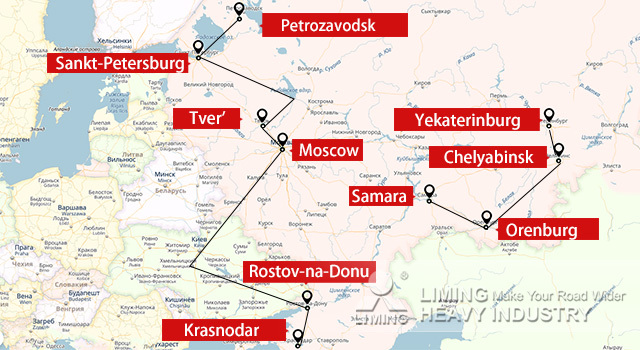 Our visit route is Moscow------Tver'----Sankt-Petersburg---Petrozavodsk------Rostov-na-Donu----Krasnodar-------Samara----Orenburg----Chelyabinsk-----Yekaterinburg. If you have any problem about the stone crushers and grinding mills, fell free to contact our sales manager in Russia , Andre, his number is 007925 857 8361. The picture is our manager in the customer site. 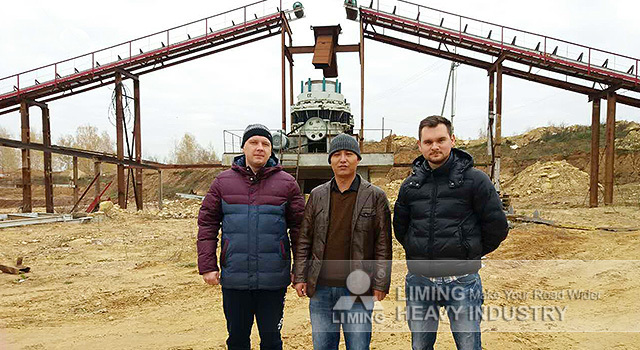 Our customers said "Liming cone crusher is running stably, we are ready to expand the project and plan to purchace two machines more." This picture, our manager is conversing with customers.